With breathtakingly beautiful coastline, lush forested interior, fantastic diving possibilities and a far-flung location, the Andaman Islands are a perfect place to ramble around or simply chill out on sun-toasted beaches. Shimmering turquoise waters are surrounded by primaeval jungle and mangrove forest, and its sugar-white beaches melt under glorious flame-and-purple sunsets, making it one of the best honeymoon places in India. Explore the stunning beauty of this tiny island with honeymoon places in India. Explore the sunny beaches, stunning islands, or indulge in exciting water sports, scuba diving and snorkelling, enjoy delectable seafood or visit the historical landmarks. Explore the wonderful islands with SOTC. Talk to the travel experts for Andaman honeymoon packages. Andaman tourism has increased significantly as many honeymooners love to visit these beautiful islands covered with dense rain-fed, damp and evergreen forests and endless varieties of exotic flora and fauna. Your Andaman trip is incomplete without exploring its beautiful beaches with your beloved. 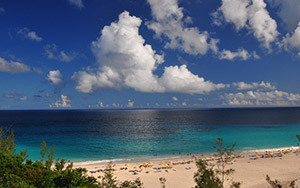 Take a dip in the crystal clear waters or sit back on the shore and let the calming sea breeze rejuvenate your senses. 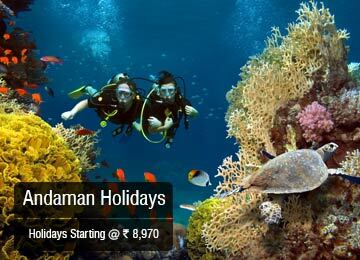 You can explore the pristine beaches with Andaman packages. Visit the Cellular Jail for a slice of history. The beautiful light and sound show there is a real treat. Famed for the white sand, breathtaking sunset and turquoise blue waters, Radhanagar beach is a tiny jewel which you can explore with your loved one. A lazy day spent there with your beloved will make your honeymoon truly memorable. Havelock Island is like the Holy Grail of scuba diving and snorkelling! Scuba diving in Andaman with your loved one can be a remarkable experience and is truly unmissable. Andaman honeymoon trips are known to have best honeymoon packages in India as the island offers exciting activities for the honeymooners and a scuba diving experience is one such memorable one. Museum tours are a great way of getting to know the history and culture of a place. And since these islands are soaked in history you’d find the museums very enriching. Take a tour down the Anthropological Museum giving insights into the lives of the indigenous tribes of the place and the Samudrika Naval Marine Museum in Port Blair that offers a glimpse into the biodiversity of the marine life. 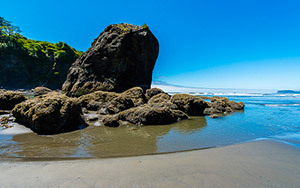 Andaman and Nicobar Island is a year-round tourist destination. 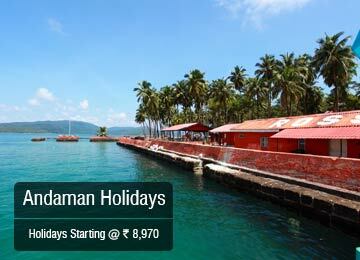 Best time to visit Andamans is considered from November to mid-May. A trip during the monsoons is to be avoided because of the high tidal waves, incessant rains and strong winds. The best season to visit Andaman is the winter, when the weather is very pleasant and it is the best time to indulge in watersports. Enjoy romantic time together and create wonderful memories with Andaman honeymoon packages. We offer honeymoon packages in India to destinations like Kashmir, Shimla, Ooty, Kerala and also to other handpicked international honeymoon destinations such as Bali, Europe, Maldives, Singapore, Switzerland and Dubai. SOTC helps you to plan for a perfect honeymoon spot and have an incredibly memorable experience with your better half. Amidst the jade green hills and scintillating milieu of Coorg make promises for a lifetime of togetherness, catch the breathtaking view of the sunrise at Tiger Hills and enjoy a laid back toy train ride in Darjeeling or marvel at the blue city of Jodhpur. Enjoy your honeymoon with unique experiences from SOTC’s honeymoon packages. Browse through our exclusive India tour packages to explore the best places in India. 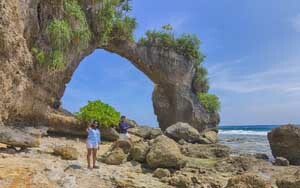 Best ways of spending 4-5 days in Andaman and Nicobar islands? A first aid kit is essential - tropical infections are easily caught from scratching mosquito and sand-fly bites, or any open cut or wound. If you happen to visit during summers make sure to carry all the necessary items like sunscreen lotion, a sipper, and sunglasses. Check the weather and pack accordingly. Research well about that. Opt for a cruise across the islands for a romantic time to enhance your honeymoon experience.